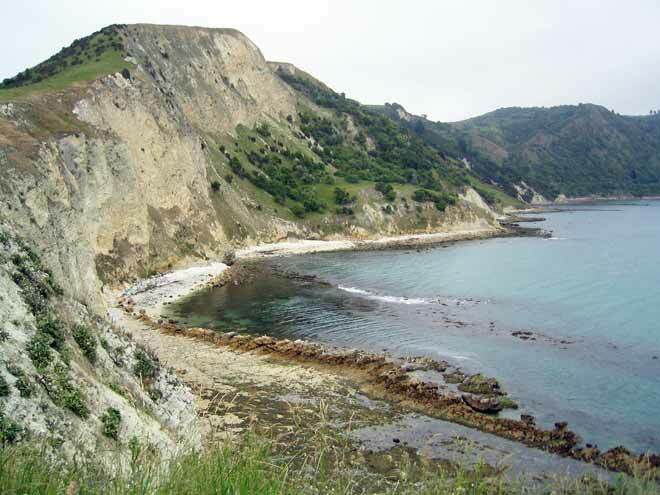 Haumuri Bluff (earlier known as Amuri Bluff), south of Kaikōura, was an important fossil-collecting site in the 19th century. Geologist Alexander McKay camped near the coast during the summer of 1872–73 and again for several months in 1876, when he made a large collection of fossils, including reptile bones. Most of his collection was lost with the disappearance of the Matoaka, which sailed from Canterbury in May 1869.